Remember the days of refilling dad’s vodka bottle with water in hopes that he wasn’t feeling thirsty anytime soon? Or sneaking out with the free-spirited-types to smoke a joint? Today’s youth can likely identify more with opening the bathroom cabinet to throw back a couple opioid pain relievers that were prescribed to soothe mom’s back. Prescription drug abuse has become so prevalent, especially among America’s youth that it is now being treated as an epidemic by the Center for Disease Control and Prevention. While illicit drug use is dropping off, prescription drug use is skyrocketing – and we’re not just talking about the kind of medication that doctors prescribe to patients who need it. We’re talking about the misuse and abuse of the easily accessible drugs that have been prescribed to another individual, or illegally prescribed or obtained. 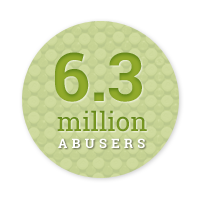 Today, approximately 6.3 million Americans report that they are currently using prescription drugs for nonmedical purposes, and more people abuse prescription medication more than heroin, cocaine and ecstasy combined. Each day for the past ten years approximately 6,000 Americans have begun to misuse prescription drugs – One third of these users are teenagers. Rx is the new gateway, as data shows that nearly one-third of people ages 12 and older who used drugs for the first time in 2009 began with nonmedical prescription use. The most frequently misused and abused prescription drugs are opioid painkillers such as OxyContin and Vicodin, central nervous system depressants like Valium, and stimulants such as Adderall. In the United States 5.1 million people are currently abusing pain relievers, 2.2 are misusing tranquilizers, 1.1 million are abusing stimulants and 0.4 million are overusing sedatives. Many new users falsely assume that because these drugs have at some point been prescribed by a doctor and dispensed by a pharmacist, they are safer than street drugs. This is not the case – prescription drugs act directly or indirectly on the same parts of the brain that illicit drugs do, and if misused they will have the same affects on the brain and body. To combat the every-growing prescription drug problem, it is not only laws and professional standards that need to be altered, monitored and enforced. The public needs to be informed and educated about the dangers of these drugs. When taken as prescribed, most people don’t have a hard time backing away from pills. However, sometimes even when a medication is prescribed by a professional and taken as advised, prescription pills can be addictive. The chance of addiction is multiplied if the abuser was not prescribed the medication. Addiction is a chronic brain disease that often causes an individual to be physically dependant on a drug. It is brought on by an unhealthy relationship that a person has with a drug, and the continued use and abuse of a drug despite its negative consequences. Addiction causes compulsive drug seeking behavior and eventually leads to changes in the structure and function of the brain. Tolerance to the drug and the need to ingest more in order to feel the same affect. Withdrawal symptoms when a person discontinues the prescription. This can include shakiness, irritability, anxiety, nausea, confusion, increased sensitivity to senses, muscle aches, headaches and insomnia. Sudden discontinuance of extremely heavy and relentless alcohol use can result in death. Serious difficulty cutting out or cutting down the use of the drug. The drug becomes the center of the addict’s universe, and top priority. Opioid addiction is extremely widespread and dangerous, as painkillers are the most addictive type of medication. Opioid abuse is frightening because of the damaging and often fatal effects, but also because of its gateway tendencies. Opioids like OxyContin are extremely similar to the (much more affordable) street drug heroin, and drug users who find themselves unable to continue to finance their dependence are turning to heroin at an alarming rate. In the last 20 years, the number of Americans who have died from accidental overdoses has risen by a shocking 3,200 percent, and has increased by 300 percent since 1999! This type of increase doesn’t happen overnight, and it doesn’t happen alone. About one half of prescription painkiller deaths involve at least one other drug, and alcohol tends to be the main culprit. When medications interact with each other, or with other substances like alcohol, caffeine or even vitamins, the concoction can be risky and even fatal. Take a narcotic and then decide to go out for a night of drinking, and your body might forget to breathe. Pop an opiate with a stimulant and you force your body to play tug-of-war with its functions, potentially leading to heart failure. The combinations are endless, and mixing prescription drugs with other substances is the riskiest behavior an abuser can partake in. Even with the federal regulations, rigorous standards and stringent testing that goes into FDA approval of any type of over-the-counter or prescription medication, federal drug regulators allow a certain amount of potentially risky side effects. Every year about 4.5 million Americans take an unwanted trip to their doctor’s office or the emergency room because of prescription drug side effects, while an additional 2 million already-hospitalized patients suffer from harmful side effects. Many prescription drugs can be physically crippling, and can lead to paralysis or severe chronic pain. Common painful side effects include headaches, stomach pains, joint and muscle pain, and diminished control over bodily functions, sporadic muscle pain and lack of muscle coordination. Serious heart problems are commonly caused by prescription drug use. These include heart attacks, congestive heart failure, unremitting heart damage and cardiomyopathy. Numerous prescription medications cause blood clots in users. In some cases, when these clots travel through the body they become stuck and block the blood flow to the brain, resulting in a rapid loss of brain function. Believe it or not, many prescription medications contain carcinogens, which, after long-term exposure can ultimately lead to cancer. When taken as prescribed, medications are unlikely to cause liver damage. However, prolonged abuse of prescription drugs poses a risk of cirrhosis of the liver or liver failure. This occurs when the body ingests too many toxins and the liver works overtime in order to keep up with clearing them from the body. Anti-seizure medications, anti-depression drugs, painkillers and drugs to treat bipolar disorder (to name a few) have been linked to increased risk of suicide and violent death in users. Other common harmful side effects Nausea, irritability, upset stomach, skin irritation, allergic reactions, cardiovascular problems, seizure and coma. Prescription pain medications kill twice as many people as cocaine, and five times as many as heroin every year. Someone dies every 19 minutes due to the misuse of prescription pills. High doses of prescription medication can cause severe respiratory depression and can cause the entire body to shut down. Painkillers cause nearly three out of four prescription drug overdoses, and in 2010 prescription painkillers killed about 16,500 drug abusers. Since 1999 unintentional overdose deaths involving opioids have quadrupled, and now outnumber accidental deaths from heroin and cocaine combined. 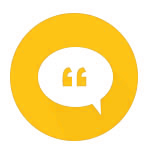 To help put an end to this frightening epidemic, adults are encouraged to speak with their children about the dangers that prescription medications pose, and to refrain from keeping their own medications in plain view. 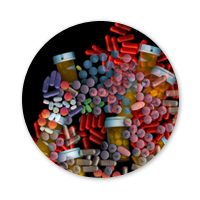 Safely dispose of unwanted or unused medications rather than keeping them inside the house – many cities have community take-back programs in which a service is provided to take back unused prescriptions. Substance abuse treatment centers now focus on prescription addiction just as they do addiction of illicit drugs. Any individual among the millions who is suffering from prescription drug addiction is urged to seek the help of a professional at a treatment center.